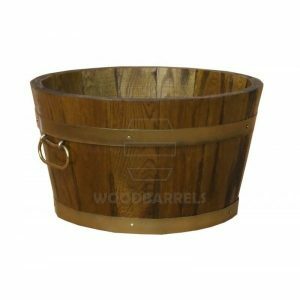 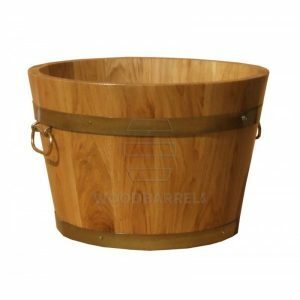 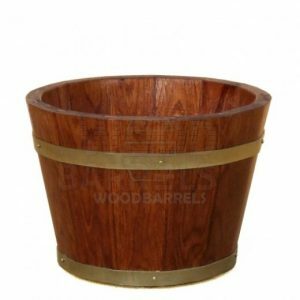 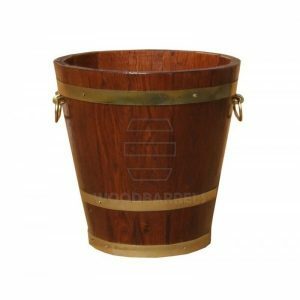 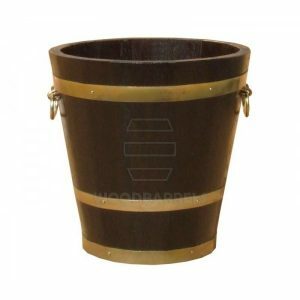 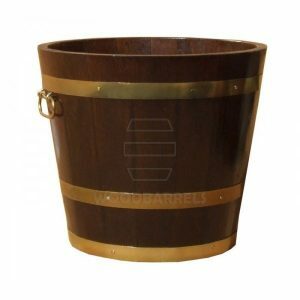 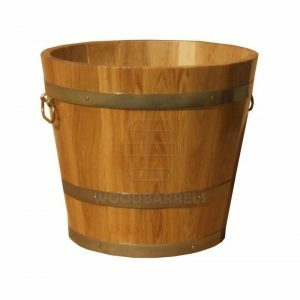 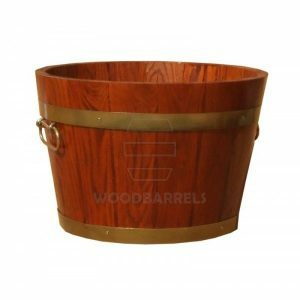 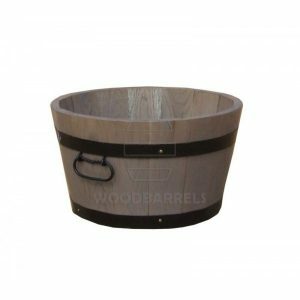 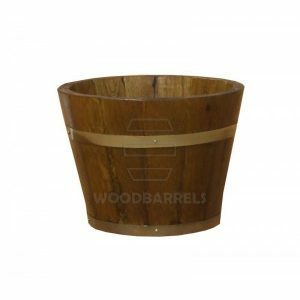 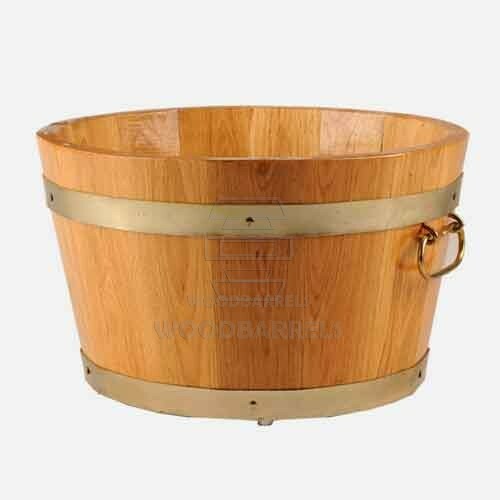 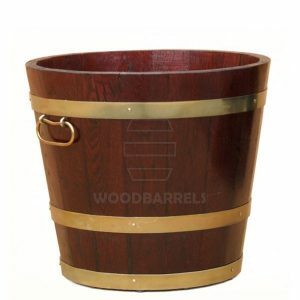 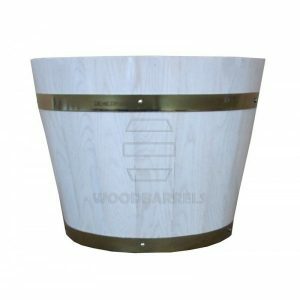 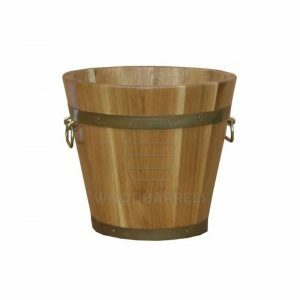 Our round oak planters are made of oak staves bound with hoops made of galvanized steel, protected against corrosion. 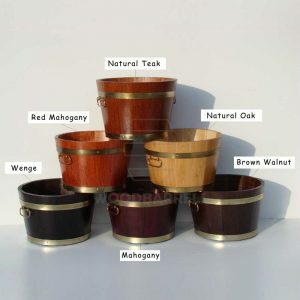 These wooden planters are made of natural oak, so the soil should be put directly into the pot. 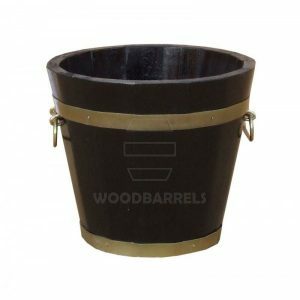 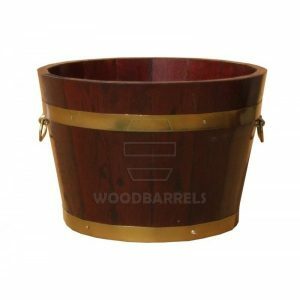 Direct contact of oak wood with moist soil will cause the planter to self-seal and significantly extend its life.Our planters are available in variety of colors: natural oak, olive, ash, teak, dark mahogany, wenge.